AFFiRiS is the leading research-intensive SME in the field of therapeutic vaccines targeting neurodegenerative disorders and other chronic diseases. 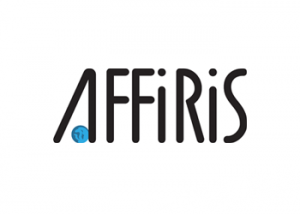 Founded in 2003, AFFiRiS focuses on product development of tailor-made peptide-based vaccines for the treatment of chronic diseases and Parkinson´s disease in particular. AFFiRiS develops therapeutic vaccines based on its proprietary AFFITOME® technology and builds on its expertise in biochemistry, molecular biology, cell biology, genetics, immunology and veterinary medicine. AFFiRiS will be responsible for the preparation and conduct of two clinical studies planned within SYMPATH. Mag. Vera Bürger heads the Clinical Department of AFFiRiS. Following a one year sabbatical in the US, she completed her studies in nutritional science at the University of Vienna. Ms. Bürger brings several years of experience in the pharmaceutical industry and biotechnology field and is specialized in neurology/psychiatry indications and vaccine development. Her expertise is available throughout the clinical development pipeline: from the planning and conduct of clinical trials to drug approval. Dr. Gergana Galabova heads the Neurodegeneration Department at AFFiRiS since January 2016. After completing her veterinary medical studies in 2000 in Bulgaria, she was awarded a three years postgraduate scholarship by the Austrian Agency for International Cooperation in Education and Research (ÖAD). In 2003, following her doctoral dissertation, she joined the Department of Microbiology, Immunobiology & Genetics at the University of Vienna as a Post Doctoral Research Fellow. Her research was focused on the in vivo and in vitro deciphering of the Raf/Mek/ERK pathway, and in particular, on the role of B-Raf in the myelination during postnatal central nervous system development. She has authored a number of scientific publications, patents, and a textbook chapter. 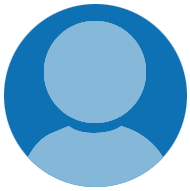 In 2009 she joined the Research & Development team of AFFIRIS as a senior scientist. She brings a broad scientific expertise and overall experience in coordination of preclinical proof-of concept studies and their translation into clinical development. Biolution specializes in communication and project management services for the life sciences. The company’s know-how focuses on the clear and efficient transport of complicated messages and combines a remarkable level of proficiency in graphics, new media and science. 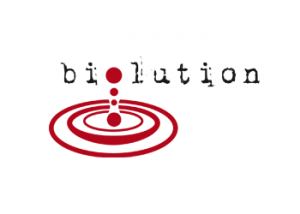 Biolution acquired relevant expertise in support of consortia of FP6, FP7 and Horizon2020, providing efficient solutions for project management and dissemination strategies, for knowledge management, web platforms, proposal preparation, budgeting, execution and reporting. 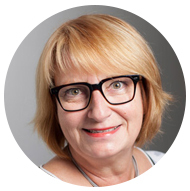 Dr. Iris Grünert complements the scientific and clinical expertise in the project with project management experience. She will provide the appropriate management structure and dissemination activities to ensure project implementation. 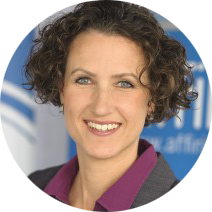 Dr. Iris Grünert founded biolution in 2002 and successfully developed it into a communication agency. She holds a PhD in biology from the University of Heidelberg, Germany and spent many years in biomedical research before branching out into project management and communication. Her skills in communication and EU project management are to bring modern communication solutions to research and development. This expertise will be indispensable to support the Coordinator to ensure coordinated progress of the project towards its overall aim. Dr. Grünert is in charge of overall administration and supervision, contract maintenance, as well as finances and periodic reporting. 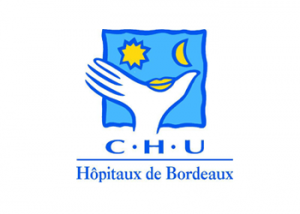 University Hospital Bordeaux hosts, together with the University Hospital Toulouse since 2007 the French National Reference Centre for multiple-system atrophy (creation in the framework of the first French national plan for rare disorders 2005-2008). The French Reference Centre for multiple-system atrophy is unique in Europe bringing together expertise in multidisciplinary patient care (120 multiple-system atrophy patients are seen every year) and research. 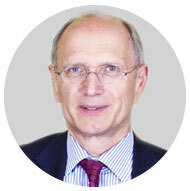 Prof. Meissner is professor of Neurology at the University Bordeaux 2 and the University Hospital Bordeaux. Together with Prof. Rascol, he co-chairs since 2012 the French National Reference Centre for multiple-system atrophy. Prof. Meissner has excellent track record as PI of academic studies and industry sponsored trials in multiple-system atrophy. He has authored or co-authored more than 100 publications in the field of multiple system atrophy and movement disorders. Prof. Wassilios Meissner, a leading international expert for diagnosis and treatment of multiple-system atrophy and Parkinson´s disease, is Professor of Neurology at the University Bordeaux 2 and the University Hospital Bordeaux. He serves as co-chair of the French National Reference Centre for multiple-system atrophy since 2012. Prof. Meissner has an excellent track record as a PI of academic studies and industry sponsored trials in multiple-system atrophy . He has authored or co-authored more than 70 publications in the field of multiple-system atrophy and movement disorders. His current research interests focus on multiple-system atrophy pathophysiology (preclinical and clinical), biological and clinical markers of disease progression and treatment. Photo: © Markus Schieder – CREVO Creative Volume e.U. 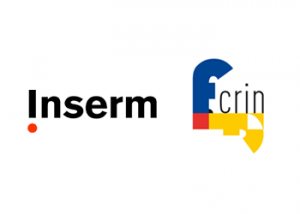 INSERM F-CRIN Toulouse is the National French Clinical Research Infrastructure Network, which is part of the European Clinical Research Network. F-CRIN was founded in 2011 to facilitate academic and industry-sponsored clinical trials in France and in Europe. F-CRIN is aimed at strengthening French competitiveness in targeted fields with high added scientific value, especially in investigator driven trials, therapeutic or diagnostic strategies. 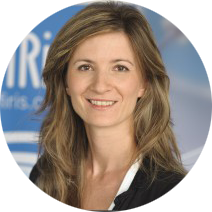 Claire Levy Marchal, MD, MSc, is a clinical research coordinator at Inserm, she is also coordinating the F-CRIN from its start-up in 2011 and the CIC (Clinical Investigation Centers) network in France for many years . Dr Levy Marchal has published more than 150 articles in International scientific journals. PROSENEX lead by Dr. Dieter Volc was founded 1993 as a private outpatient facility for neurogeriatric disorders and stroke prevention. Later on, the focal point of the clinic moved completely towards movement disorders. Dr. Volc holds the positions of CEO and medical director. He is specialised in movement disorders and in 2011 installed a study center at the site of Confraternitaet-Privatklinik Josefstadt, Vienna. Prosenex with Dr. Volc and his study team conducted 6 clinical studies in the last two years, three Alzheimers phase I/II and three Parkinson´s disease phase I studies including the first-in-men/first-of-its-kind Parkinson’s disease vaccination study AFF008. Dieter Volc, MD has been involved in various clinical trials and programs in neurogeriatrics, especially with Parkinson’s and Alzheimer´s disease since 1984. In 1990 he became a coworker of Univ. Prof. Dr. Walther Birkmayer, the first user of L-DOPA therapy for Parkinson’s disease. 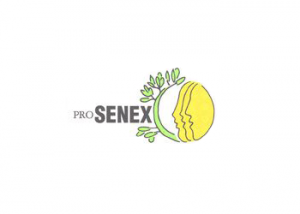 1993 Dr. Volc founded PROSENEX, a private outpatient facility for neurogeriatric disorders and in 1995 became head of the Neurology Department & Movement Disorders Center at Confraternitaet-Privatklinik Josefstadt. Dr. Volc was responsible for 27 clinical trials in neurological disorders since 1984 as PI, deputy PI or co-investigator, of which13 studies were focused on Parkinson’s disease. Two studies were phase I trials first-in-man/first-of-its-kind. 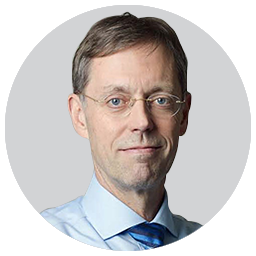 He has a strong connection with the patients’ organisations in both Parkinson’s disease and restless legs/Willis-Ekbom-disease groups where Dr. Volc serves as a medical advisor and member of the board. 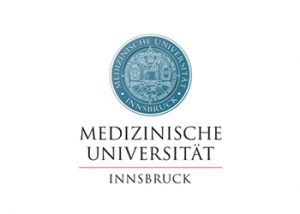 The Medical University Innsbruck Department of Neurology is an internationally recognized clinical research centre focusing on degenerative movement disorders chaired by Prof. Werner Poewe. It runs a specialized movement disorders outpatient clinic with approximately 2000 patients annually. The infrastructure available at Medical University Innsbruck including the Parkinson Centre and the Clinical Trial Center (KKS) enable the Department of Neurology to rapidly recruit a substantial number of eligible patients. Prof. Poewe is one of the world leaders in the field of Parkinson´s disease covering both basic scientific and clinical aspects. He is a member of several medical and scientific societies and editorial boards and is the President of the Austrian Parkinson’s Disease Society. Prof. Dr. Werner Poewe is chairman of the Department of Neurology at the Medical University of Innsbruck, with main clinical and research interests within movement disorders: clinical studies in Parkinson’s disease and movement disorders; imaging of movement disorders; multiple-system atrophy atypical Parkinsonism; movement disorders and sleep. His science record spans almost 500 full publications, of which 129 as first author. He is a member of several medical and scientific societies and editorial boards and is the head of the scientific advisory board of the Austrian Parkinson’s Disease Society. 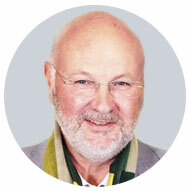 He has been a responsible PI or Steering Board member for numerous clinical trials in Parkinson´s disease among others. The Forschungszentrum Jülich together with the Institute of Complex Systems (ICS-6: Structural Biochemistry) focuses on the development and application of methods to precisely investigate three-dimensional structures, dynamics, ligand interactions and molecular mechanisms of biologically and medically relevant macromolecules involved in basic cellular processes. Prof. Dr. Dieter Willbold is director of the ICS-6 and professor of Physical Biology at the Heinrich-Heine-University Düsseldorf (HHUD). The team around Prof. Willbold offers state-of-the art technologies and a deep understanding of neurodegenerative disorders to develop biological assays focusing on α-Syn. 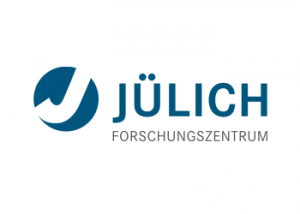 Prof. Dr. Dieter Willbold is director of the Institute of Complex Systems (ICS-6), Forschungszentrum Jülich and in parallel full Professor for Physical Biology at the Heinrich-Heine-University Düsseldorf (HHUD). After his study and doctorate of biochemistry at the Universities of Tübingen, Bayreuth and Boulder (CO, USA), he was heading the independent junior research group “Structural and Evolutionary Biochemistry“ at the Institute for Molecular Biotechnolgy in Jena and Associate Professor for “NMR Spectroscopy of Biological Macromolecules” at the HHUD. Prof. Willbold has excellent expertise in structural biology, NMR spectroscopy and protein-ligand interactions. 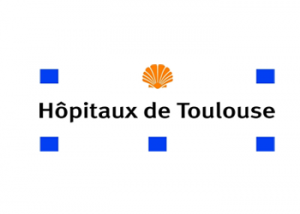 The University Hospital Toulouse co-chairs The French National Reference Centre for multiple-system atrophy together with University Hospital Bordeaux. The Toulouse Clinical Investigation Center (CIC) was created in 1994, and has expertise in clinical trial conducting. It has already managed several protocols of clinical research in multiple-system atrophy patients in close collaboration with the Toulouse Reference Center for multiple-system atrophy. Prof. Olivier Rascol is a leading international expert for diagnosis and treatment of multiple-system atrophy and Parkinson´s disease. He is a neurologist and Professor of Clinical Pharmacology at the University Hospital Toulouse. Prof. Rascol has published more than 350 articles in International Scientific journals and has been invited to give more than 250 lectures worldwide. He has chaired the National network of the 56 French CIC since 2008 and the NS-Park Neurosciences Network of the French CIC since 2010. Since 2011, Prof. Rascol has coordinated the National French Clinical Research Infrastructure Network F-CRIN. 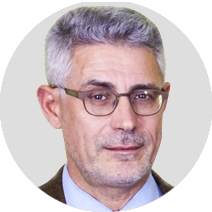 Prof. Olivier Rascol, is a leading international expert for diagnosis and treatment of multiple-system atrophy and Parkinson´s Disease. Professor Rascol is a neurologist and Professor of Clinical Pharmacology at the University Hospital of Toulouse. He serves as co-chair of the French National Reference Centre for multiple-system atrophy. Prof. Rascol is also coordinating the Toulouse CIC. 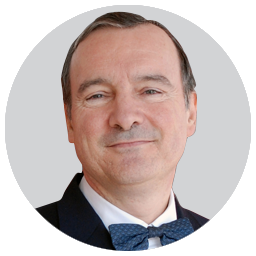 He is chairing the national network of the 56 French CIC since 2008 and the NS-Park Neurosciences Network of the French CIC since 2010. From 2011, Prof. Rascol coordinates the National French Clinical Research Infrastructure Network F-CRIN. Prof. Rascol has published more than 350 articles in prominent International scientific journals. He has also been invited to give more than 250 lectures worldwide at national and international meetings. 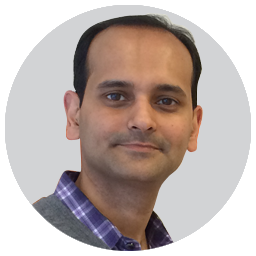 Kuldip Dave, PhD is Director of Research Programs at the Michael J. Fox Foundation for Parkinson’s Research one of the world´s most important hotspots for the support of Parkinson´s Disease research. He has over ten years of combined experience in non-profit management and biotech/pharmaceutical sectors leading cross-functional project teams, development of strategy, management of complex preclinical and clinical programs and the execution and implementation of innovative scientific programs. 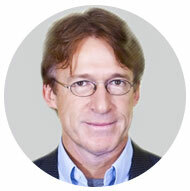 He is responsible for the α-Synuclein and Emerging Targets portfolios at the MJF-foundation. Prof. Luc Defebvre, MD, PhD is Professor of Neurology at the Henri-Warembourg Faculty of Medicine (University of Lille) and practicing neurologist in the Department of Neurology and Pathology of the Movement, Neurosciences and Musculoskeletal unit of the University Hospital Lille (CHRU-Lille). 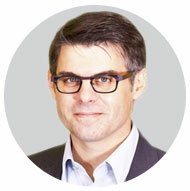 He chairs the PD clinic and is head of the Lille competence center for MSA. He is responsible for the Parkinson theme within Inserm Unit 1171 (Degenerative and vascular cognitive disorders) of the University of Lille. Prof. Thomas Gasser, MD is Professor of Neurology and Director of the Department of Neurodegenerative Diseases at the Hertie Institute for Clinical Brain Research at the University of Tübingen; since 2009 he has conducted research at the DZNE Tübingen (German Center for neurodegenerative diseases). His major research interests are the genetic and molecular basis of Parkinson’s disease and rare movement disorders and his clinical and translational interests include the diagnosis and treatment of Parkinson’s disease with a special focus on innovative imaging techniques. Prof. Serge Gauthier, MD, FRCPC is Director of the Alzheimer’s disease and Related Disorders Unit at the McGill University Research Centre for Studies in Aging and a professor at the University’s Neurology and Neurosurgery, Psychiatry and Medicine Departments. His contributions to research include the design and implementation of randomized clinical trials in order to establish the safety and efficacy of cholinesterase inhibitors, muscarinic agonists, and agents possibly modifying progression for Alzheimer’s disease and vascular dementia. Special interests include consensus approach to the management of dementia in different stages, the ethics of research involving persons with dementia, and primary prevention strategies against cognitive decline and dementia. Prof. Christine Mannhalter, PhD is Professor for Molecular Diagnostics in Clinical Chemistry at the Medical University of Vienna, Austria. 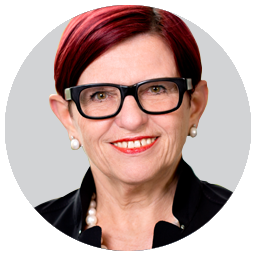 She serves as member of the scientific committee for genetic testing and gene therapy at the Austrian Chancellery and is a member of the ethics committee of the medical university of Vienna. In addition Prof. Mannhalter serves as Vice president of the Austrian Bioethics Board nominated by the Austrian Chancellor. Prof. Mannhalter has a strong background and interest in ethical aspects of biomedical research. Furthermore, she was one of the authors of the recommendations of the Austrian Bioethics Commission regarding bio-banking.